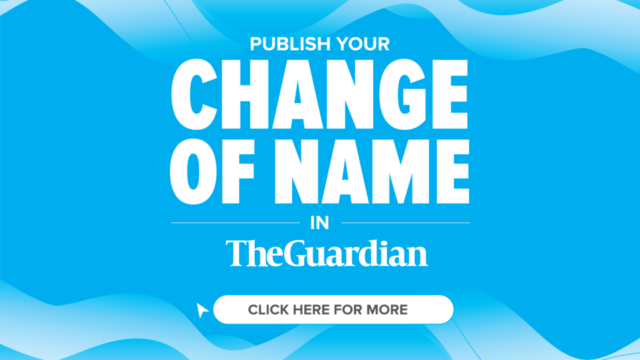 Neymar will sign a new Barcelona contract to keep him at the club until June 2021 on Friday.The Brazil international is ready to officially sign the deal - which was originally agreed in June - the club have announced. 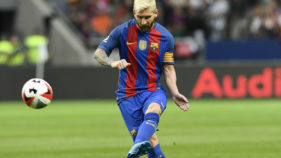 Lionel Messi took just three minutes to score on his return from injury as Barcelona enjoyed the perfect preparation for the visit of Manchester City in midweek with a 4-0 thrashing of Deportivo la Coruna on Saturday. Lionel Messi will make his return to action from the substitutes bench after being left out of Barcelona boss Luis Enrique's starting line-up for the visit of Deportivo la Coruna on Saturday. 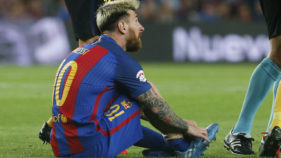 Argentina's pain is Barcelona's gain as Lionel Messi returns for the Spanish champions when Deportivo la Coruna visit the Camp Nou on Saturday after being sidelined for three weeks with a groin injury. 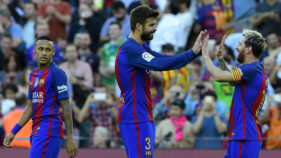 Barcelona defender Gerard Pique believes he can take the unusual route into club politics rather than management when his playing career comes to an end by becoming Barca president. 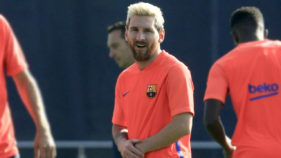 Global superstar Lionel Messi returned to training with Barcelona on Wednesday following three weeks out with a groin injury. 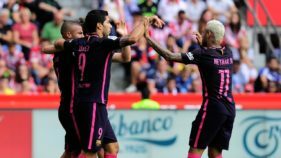 The 29-year-old has been sidelined since being forced off in the second half of Barcelona’s 1-1 draw with Atletico Madrid on September 21, during which he suffered a groin strain. Atletico Madrid moved top of La Liga on Sunday as Celta Vigo edged Barcelona in a 4-3 thriller, whilst Real Madrid's run of draws stretched to four against Eibar on Sunday. 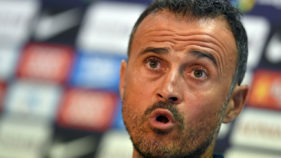 Barcelona boss Luis Enrique lauded Andres Iniesta's behaviour as well as his ball skills ahead of the midfield maestro's 600th Barca game at Celta Vigo on Sunday. 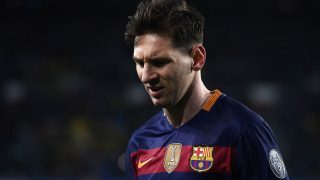 Five-time World Player of the Year Lionel Messi insists he will bounceback "even stronger" from a groin injury that is set to keep him sidelined for three weeks.